As we approach the end of 2017, we reflect on the best cannabis strains of the year. When it comes to autoflowering varieties, it was a challenge to narrow it down to the top 5. Behold our list of the best autos of 2017. Autoflowering cannabis strains could be just what you need if you are a novice grower. Without you having to induce flowering or rig a complicated lighting setup, autoflowering plants bloom by themselves, according to time. They also tend to bloom relatively quickly, producing bountiful yields of high-THC bud. Autoflowering varieties of cannabis are popular as they tend to be quite psychoactive, yet easy to cultivate. They usually grow fairly short, making them ideal for discreet or cramped cultivation operations. The ruderalis genetics of these stable plants make them highly adaptable to a variety of climates and lighting conditions. Furthermore, they rarely require much maintenance. But the question is: Will these strains really rival the effects of photoperiod cultivars? Well don’t you worry, because today, we’ll blow your expectations out of the water with our top 5 best autoflowering strains of 2017. We’ve combed through our seed catalogue and have come up with a handful of new-classic varieties that look to continue their dominance into the new year. The euphoric happiness that Amnesia Haze brings smokers makes it great for relieving stress and depression. This sativa-dominant hybrid is a mix of several landraces from across the world. Its Haze lineage has been crossed with Thai, Hawaiian, Jamaican, and Cambodian parents, as well as boasting indica influences from Afghan and South Asian landraces. And of course, the oft-overlooked ruderalis variety is sprinkled in there as well. That is a lot of powerful strains coming together for this Cannabis Cup winner. The citrus-smelling buds provide an energetic, uplifting feeling that fuels its popularity in the coffeeshops of Amsterdam. Your face will tingle from the mouth-watering, near-psychedelic high. Another citrus-flavoured knockout Haze is Super Silver Haze. Haze was bred with two iconic strains, Northern Lights and Skunk. Super Silver evokes a shimmering sensation as its high reaches the core of your body. Subtle hints of spice will be detected in its sweet aroma. The mood-boosting body high it provides stands out among sativa-dominant hybrids. This is the kind of strain that has developed the ideal balance of strength and stability. It often grows as tall as 80-110cm. It should produce generous yields; just be prepared for the intense stimulation of its wallop-packing high. Brazilian landrace sativa and South Asian indica have come together to make White Widow, a hybrid skewing slightly towards a sativa buzz. The ferocious effect from this Dutch classic is a such an intense burst of energy it makes for a dizzying, woozy body high. The effects of both sativa and indica make the body want to surrender to the trip on a soft place to sit. The Amsterdam tourist favourite the Bulldog has been selling this strain pre-rolled, listed among their strongest varieties. No amount of warning can prepare you for the waves of feeling washing over your body. 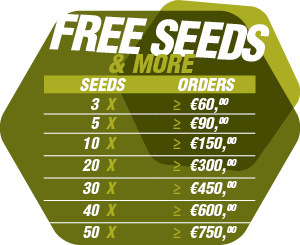 Grow under ideal conditions and an outdoor plant could produce yields up to 250g/plant. 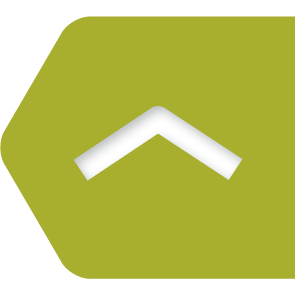 The runner-up on our list has a name that speaks confidently to its strong effects. In fact, some less-seasoned smokers find this stain a little too relaxing. 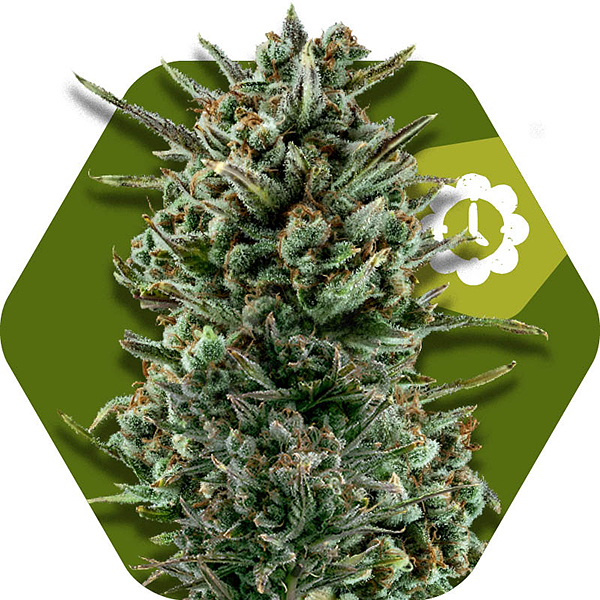 Experience also shows Power Plant XL Auto to produce bountiful yields with large, thick buds. The genetics behind these attributes come from combining resilient ruderalis with South African sativa landraces. In what is otherwise an indica-dominant hybrid, this produces a wonderful convergence of physiological effects. Peppery, wood-like aromas will accompany the high that hits you hard. Be ready for one hell of an experience after drying and curing your home-cropped buds. With each of these strains earning their reputation, how could there be a “Number 1” that is able to outperform the rest? What is the secret behind the extra-extra-large indica-dominant auto hybrid Big Bud? 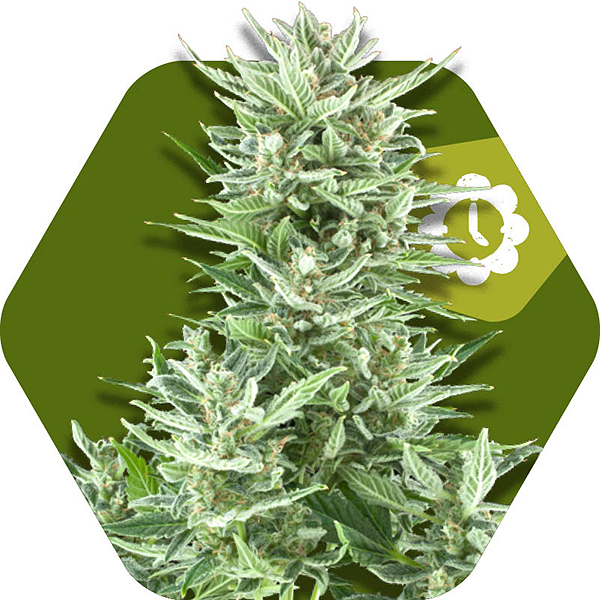 In addition to robust ruderalis genetics, Big Bud XXL Auto results from top-notch OG Kush. This explains why this plant is so powerful. The "OG" stands for "Ocean Grown" in reference to its Californian origins, not "Original Gangsta" as the common misconception goes. From its seaside origins to its place in today’s hall of fame, the popularity of OGK is well-justified. Putting it in this combination has led to a freakishly-big plant that can produce up to a kilogram of bud outdoors within two months. Not for the faint-hearted or inexperienced. Autoflowering strains allow for more flexibility in where and how you cultivate your own cannabis plants. Such adaptability is particularly convenient when it comes to cultivating in different climates. There is no compromise on the quality of the strains themselves. With strong, stable combinations, these hybrids can deliver a knockout high with unique and sensuous effects. Get cultivating your own today.